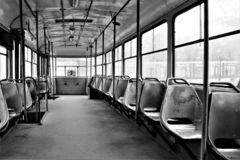 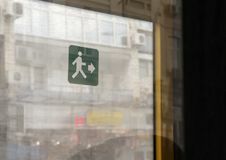 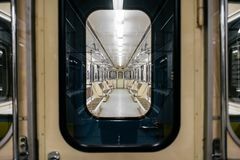 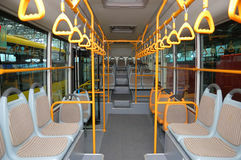 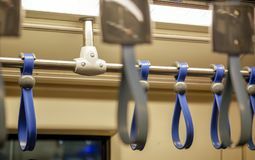 Interior of a modern empty city bus. 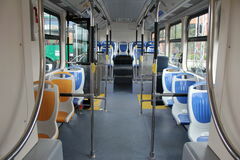 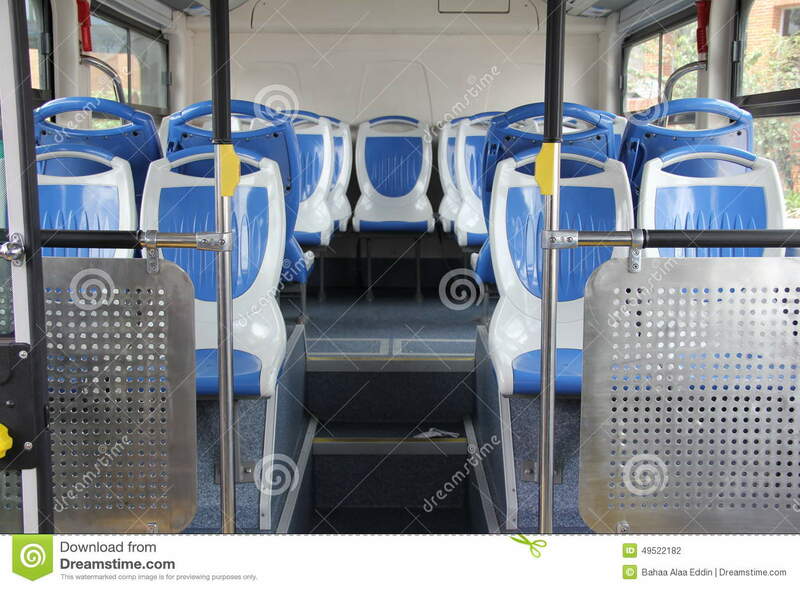 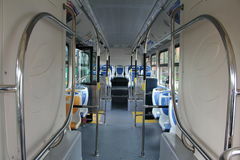 Interior of a modern empty city bus, Blue and grey seats for passengers in saloon of empty city bus with grey floor. 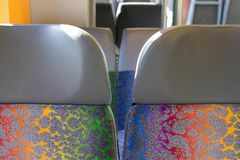 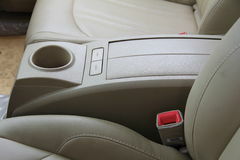 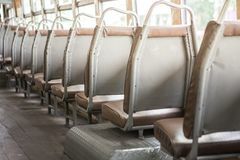 chairs of new Chinese bus.